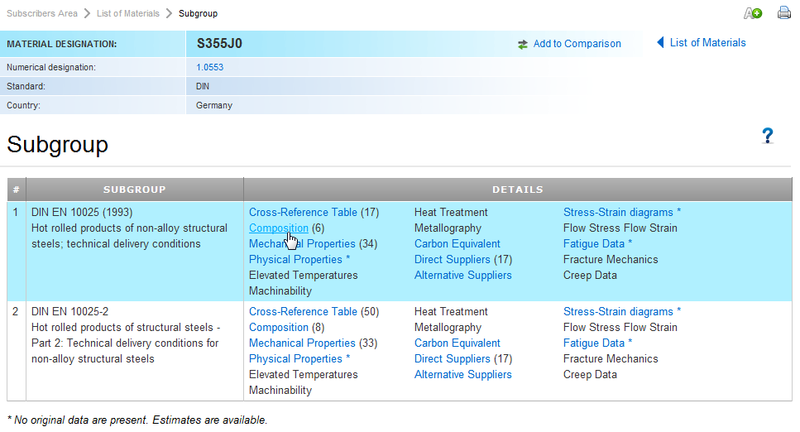 As with other materials, the properties of structural steel members are adversely affected by elevated temperatures. Two of the most important material properties that govern the design are yield stress and the modulus of elasticity. Both of these properties decrease as temperatures increase. A steel joist designed for room-temperature applications has an inherent factor of safety, which decreases as the temperature of the steel rises. Eventually a temperature is reached where the load exceeds the resistance of the steel joist. 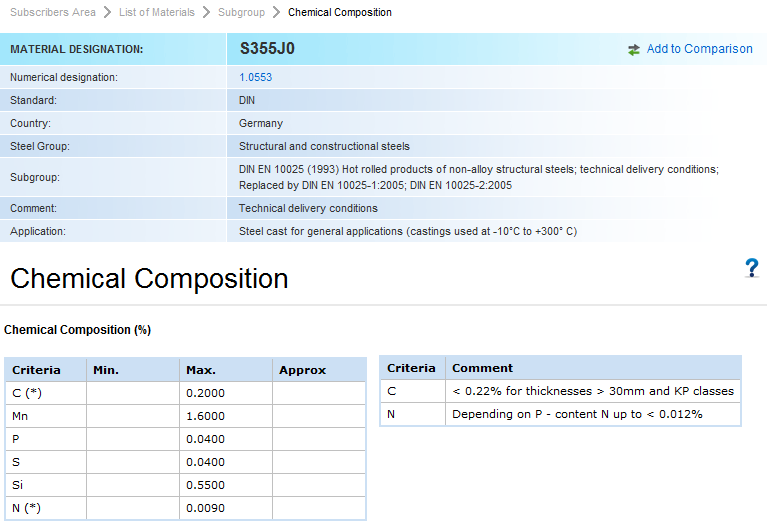 This temperature is a function of the type of material being tested, end support conditions and applied load. Test program on two FR steel samples of Nippon Steel (denoted as FR1 & FR2). The details of FR1 and FR2 such as thickness were not provided. Figure 1 compares the reduction factors of yield strength of various FR steels reported in the above references. The yield strength was measured at 0.2% strain offset from the temperature-stress-strain curves. Although there is a large discrepancy between the test results, all FR steels are in the range of 2/3 yield strength at ambient temperature at 600°C. 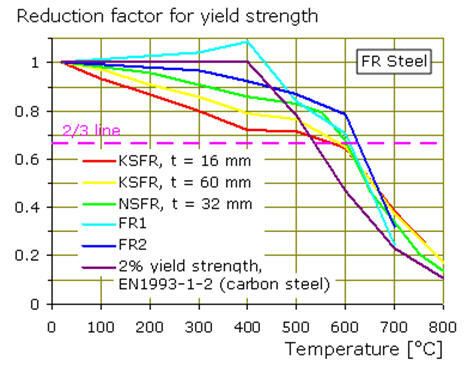 Figure 1: Strength reduction factors for yield strength of FR steel at elevated temperatures. Figure 2 compares the reduction factors of tensile strength of the FR steels considered. The tensile strength corresponded to the ultimate strength measured at over 5% strain during the tensile tests. Obviously, the tests conducted in Japan, comprising KSFR and NSFR, generate very compatible results. However, this is not the case for the tests FR1 and FR2 which were conducted outside Japan. 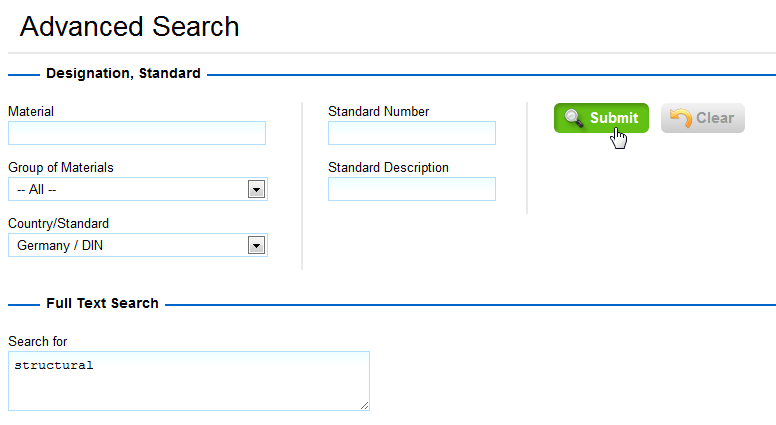 The possible reasons include different test set-up and limited number of tests. 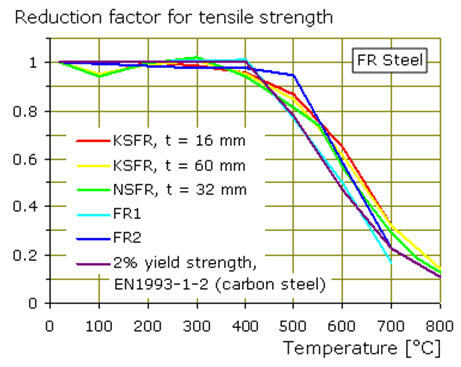 Figure 2: Strength reduction factors for tensile strength of FR steels at elevated temperatures. Sakumoto et al. reported the results of experimental studies on the tensile and shear strength of high-strength FR bolts materials and joints at high temperatures. The FR bolts are a Grade F10T torque-control bolt made of BOLTEN110N-FR steel and prepared in accordance with the JSS II-09-1981. The bolts had a nominal 0.2% yield strength and tensile strength of 1090 and 1130 N/mm2 respectively. For comparison, the fire tests for the original high-strength bolts made of BOLTEN110N steel were also carried out in this study. 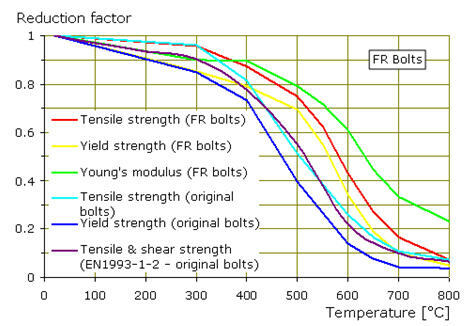 Figure 3 shows the reduction factors for 0.2% yield strength, Young’s modulus and tensile strength of FR and original bolts derived from the fire tests. The tensile strength was corresponding to 2 to 3% strain. It can be seen that the tensile strength of FR bolts at high temperatures is superior to that of original high-strength bolts. Compared to the design values for tensile and shear strength of original bolts in accordance with prEN1993-1-2, the FR bolts have a much higher reduction factor of tensile strength throughout the temperature range. However, it is found that the design curve of prEN1993-1-2 follows closely the test values of the original bolts. 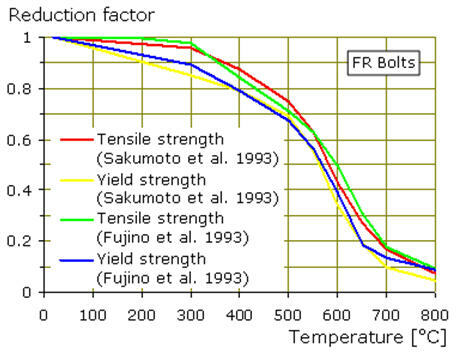 Figure 3: Strength Reduction Factors for Nippon Steel FR Bolts at Elevated Temperatures. Fujino et al. reported a kind of FR steel manufactured by Kawasaki Steel (denoted as KSFR) and the compatible high-strength bolts of Grade F10T (FR) for joining KSFR steels. Figure 4 shows the reduction factors for the tensile properties of the bolts at elevated temperatures. For comparison, the test results given by Sakumoto et al. on another kind of F10T (FR) bolts which was developed by Nippon Steel were included. It can be seen that the two batches of test results generally match very well, indicating the consistency in the quality of the bolt. 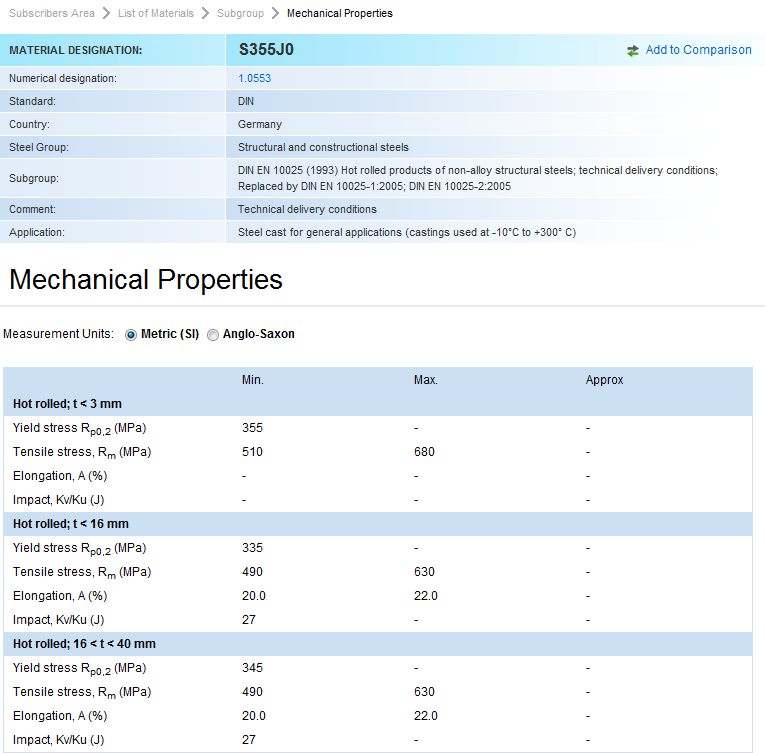 Figure 4: Strength reduction factors for Kawasaki Steel FR Bolts at elevated temperatures. 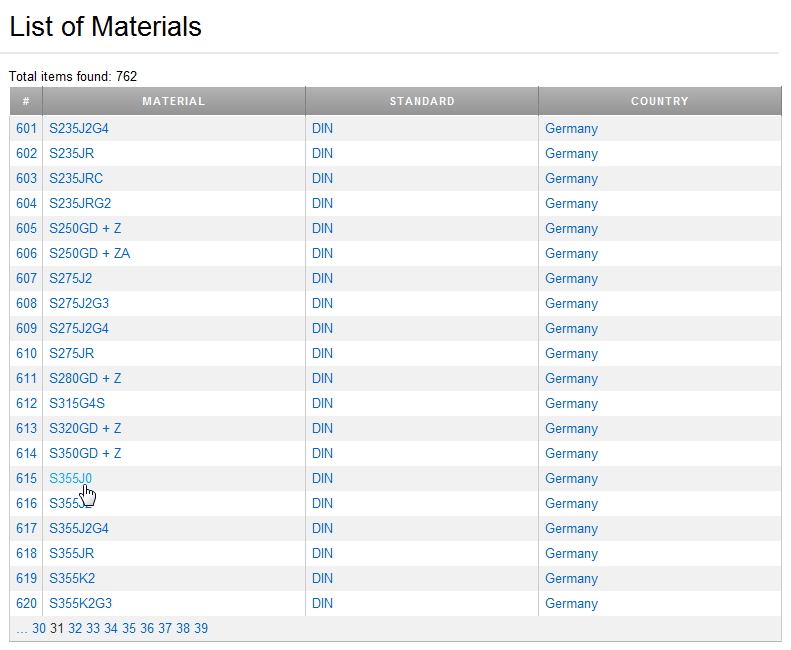 O banco de dados da Total Materia contém muitos milhares de materiais estruturais de aço através de uma grande variedade de países e padrões. Usando a página de pesquisa avançada, é possível pesquisar por materiais de aplicação geral, usando a função de pesquisa de texto completo de Pesquisa Avançada. É talvez o que você precisa para estreitar ainda mais os critérios de pesquisa usando os campos na página de pesquisa avançada por exemplo, País / Standard. Por exemplo, clicando sobre o link composição química na página subgrupo é possível ver os dados de composição química para o material. Outros dados de propriedades críticas para aços estruturais também podem ser vistos, incluindo dados de propriedades mecânicas que cobrem o limite de elasticidade, tensão de tração, alongamento e dados de impacto.